I’m heading to the Wedding MBA again this year (4th year in a row!) and hosting a Q&A on destination weddings. My preparation got me to taking a stroll down memory lane, looking at old documents and photos of the weddings, and I just had to share some of my favorites here; this post showcases stunning florals and venues from past Paris weddings. 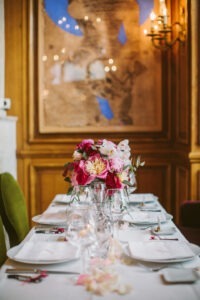 Peonies featured big time in many of our weddings, particularly in the spring, when Paris is literally full of them! 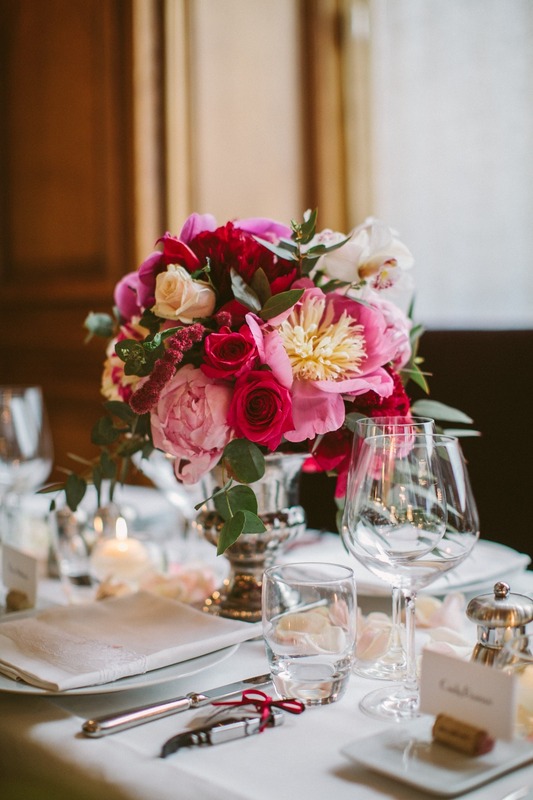 Florals by Estelle Preston – you cannot do better than hire her for your big day in Paris! You don’t have to have your wedding at the Versailles to have a truly stunning backdrop. Many cafes inhabit beautiful ornate buildings; very little decor is needed. Top Two photos by Yann Audic;bottom photo by Olivier Lalin. As one of the very few event planners that specialize in Paris destination weddings, I count my blessings every time I land in CDG, inhale the scent of fresh baked bread from a boulangier, and most of all, send our American-in-Paris couples down the aisle. 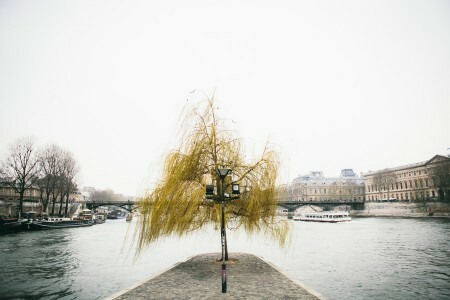 It’s enchanting in Paris, and to work there is a dream. After a long day of work and research, I usually grab a drink with a local friend, then buy a baguette, slather it with the stick of butter I keep in my rented flat, and eat and sip wine while checking email and watching funny French TV (they even have their own Real Housewives franchise!). No, there is no partying at clubs or lingering at cafes all night – I’m on the clock nearly every moment I’m there – but I love what has become my routine, as well as catching up with my local friends and colleagues. It’s become almost a home away from home. The bride and groom, Michelle and Adam, reached me several months before their projected wedding date of late Spring 2014, and one of the first things she told me was she already had her dress. 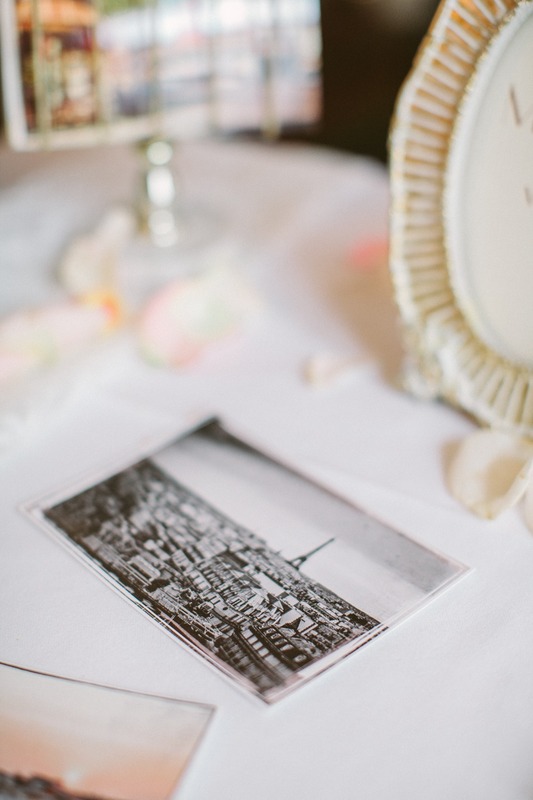 The picture she sent was stunning – but once she stepped into it the day of the wedding, my reaction was beyond words. Now listen – I work with dresses all the time. This one, a Vera Wang, was one in a million. The photos of the ceremony, with that stunning train behind her, and her handsome groom next to her, are simply gorgeous. We corresponded completely by phone – since the couple lived in the Midwest – and met in person for the first time in Paris, but after the hours of phone calls and hundreds (thousands?) of emails, we felt like we knew each other. I also sent multiple emails to their guests, as well as updated their website with current information to ensure everyone’s stay was enjoyable. 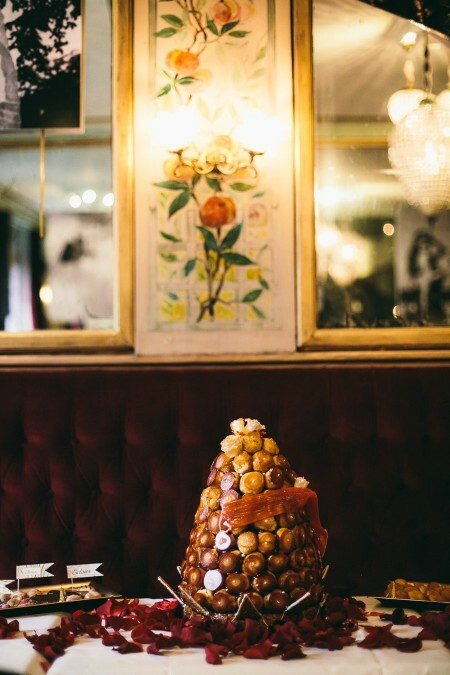 While in Paris, we met a dear friend and colleague, Laurel Sanderson of Treize: A Baker’s Dozen, a small nook of a cafe that feels like the “Cheers” of Paris. 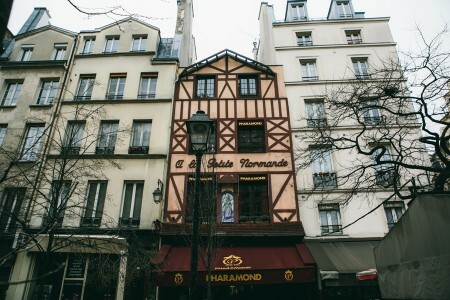 Off of a charming courtyard, away from the main street in an elegant area south of the Seine, you walk in and are immediately bellying up to the counter, downing some wine, and talking to Laurel, her servers, and her regulars, as if you knew them forever. It’s like going into some sort of wormhole where you are as comfortable as an American on your native city, but tasting the best wine, tea, desserts, and cuisine Paris has to offer. Laurel prepared the American-style wedding cake for Michelle and Adam, and for the tasting, we met at her shop and tasted the fresh berries and filing she was going to incorporate into the recipe. 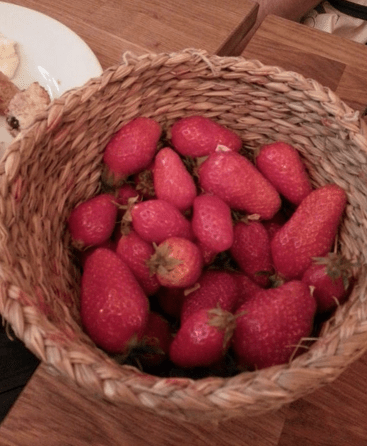 The berries – fresh as can be – were like none other we ever tasted – no exaggeration. Luscious at room temperature, with an odd oblong shape that now makes me scared of the hyber-bred, “perfect,” hard, crisp, bright crimson berries we have here, they were addictive. We visited the local florist around the corner from Laurel to pick out fresh flowers for the cake. 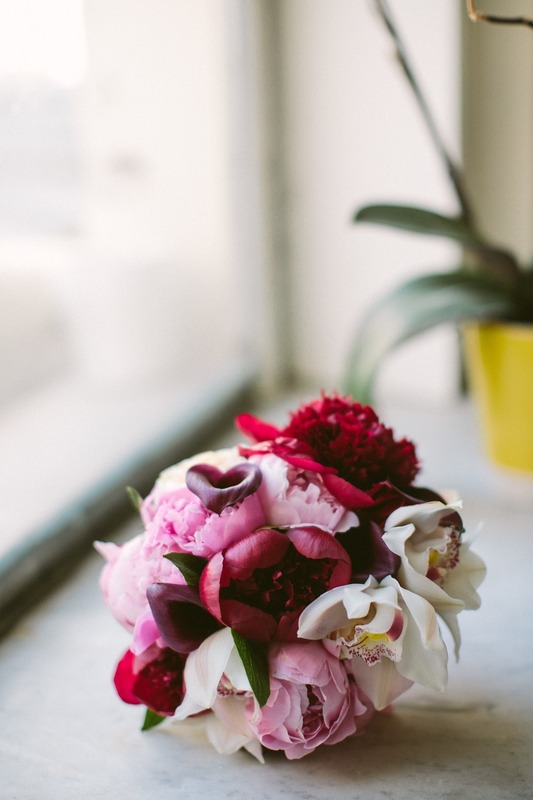 The peonies were gigantic – when it’s spring in Paris, peonies are omnipresent, and practically as big as your head – these fluffy stunners can be seen in buckets outside of floral shops, displays in stores – just about everywhere. 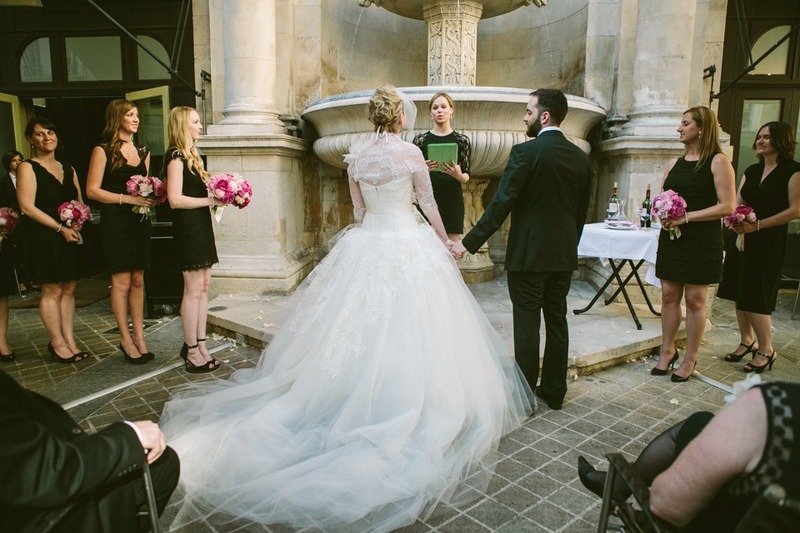 The day of the wedding, the bride, groom, and close friends and family took photos near the Trocadero and Eiffel Tower with the talented and punctual Yann Audic of Lifestories Weddings, then the ceremony and reception took place at Fontaine Gaillon, a perfect example of classic French dining, with velvet banquettes and a spacious patio with a stunning fountain that oversees the dining space. 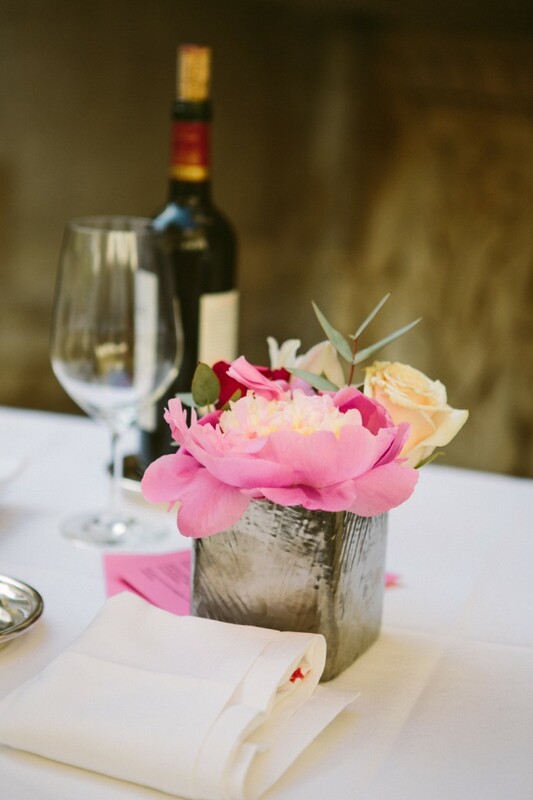 Estelle Preston, a florist who is as talented as she is kind, produced the gorgeous peony centerpieces. We filled in the decor with a guest sign-in table consisting of vintage Parisian postcards bought off the shore of the Seine (yours truly bargained for the best price), with a feather pen for signing; pillar candles on antique pedestals and candlesticks; and napkins dressed with wide, elegant lace. Candles we added to Estelle’s glass bowls, also trimmed with lace, as well as lace fabric throughout the space, brought a softness and femininity to the handsome, old-world room. 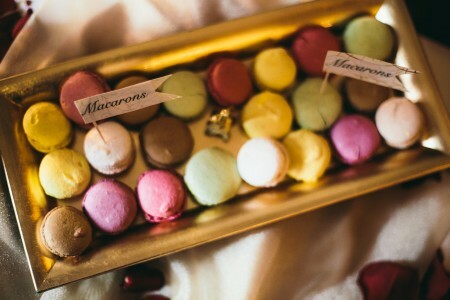 Photo by Yann Audic / Lifestorieswedding.com. Florals by http://www.estellepreston.com/. 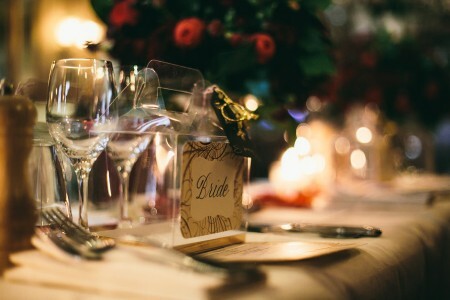 Wine corks held seating cards; a personalized wine key proved a fitting favor for guests. Photo by Yann Audic / Lifestorieswedding.com. 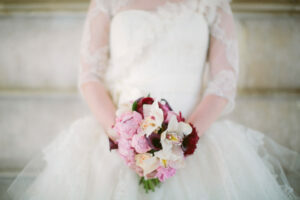 Florals by http://www.estellepreston.com/, utilizing the bride’s key color, bright fuschia. Photo by Yann Audic / Lifestorieswedding.com. We styled a guest book table with a custom painted, vintage frame, vintage mail holder, candlesticks, and florals by Estelle Preston. Photo by Yann Audic / Lifestorieswedding.com. Florals by http://www.estellepreston.com/. 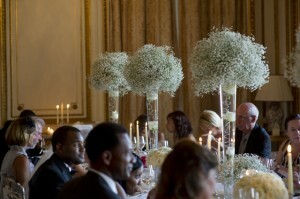 Laurel Sanderson of Treize – a Baker’s Dozen created the cake; flowers by 360Degrees florist – http://www.flower.fr/. 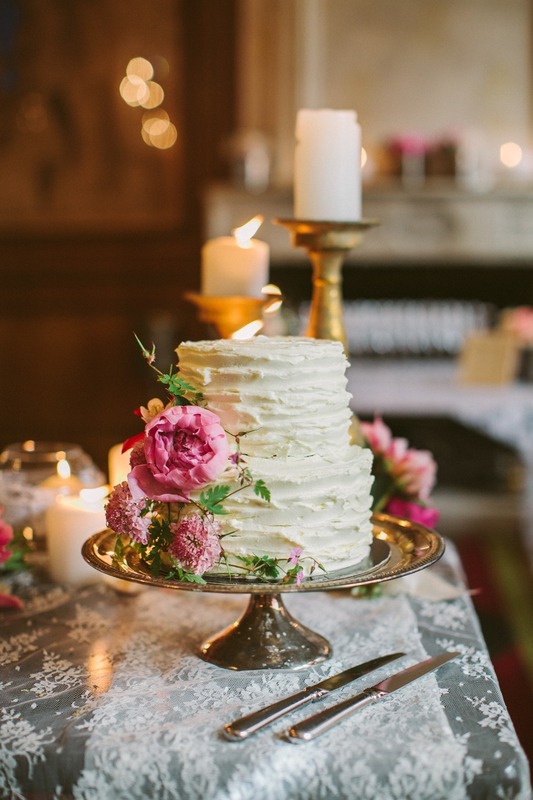 We placed lace brought over from the States over the dessert table and antiqued pillars and candles added a romantic glow. My phenomenal associate Noemie Alison assisted in negotiating and fine tuning the elements of the event, and also flew in from her new home in the States to assist. Talented photographer Krystal Kenney assisted as well that day; with her prior background in event production, she was vital to ensuring all was setup properly. As expected in Paris, the food and wine were delicious, and the guests shared toasts, laughter, sweets, and even a little dancing thanks to a mini boom box the family brought from the States. 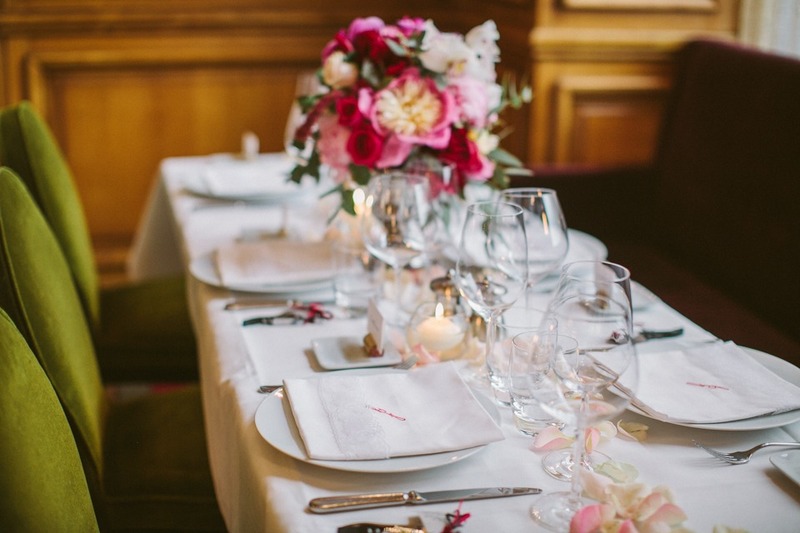 Like all weddings – whether in Paris or in the States – it was a night to remember. “Merci” again to this wonderful couple for bringing me along for the ride! 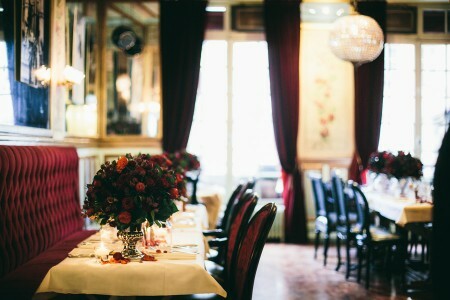 We had another adventure in the City of Lights this spring, for our clients’ romantic April wedding in Paris. Because the wedding industry in Paris is just starting to take shape (more often than not, Parisians either marry at City Hall and have a lower-key party, or they have their celebrations in the country), we are diligent and exhaustive when researching just the right venues. 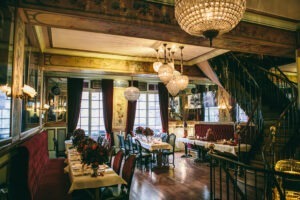 Le Pharamond is a venerable, old-school restaurant with gorgeous salons-privee (private dining rooms), and had opulent French decor, an ideal location, willingness to work with a special menu, and, flexiblity when it came to space. We were able to reserve the entire 1st floor (second floor, in American terms) for the dinner. 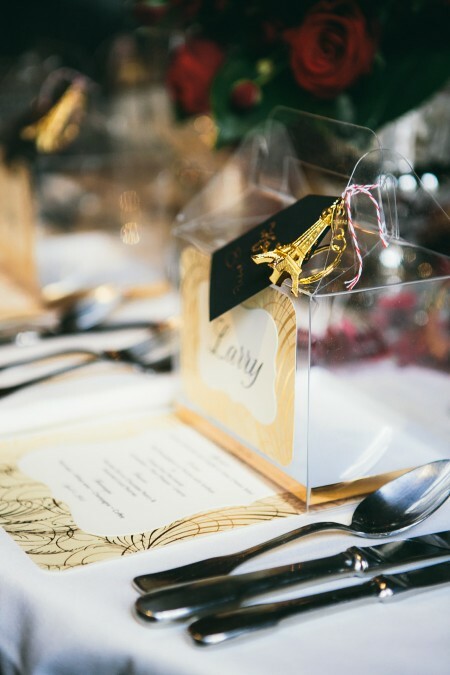 The wedding took place at the Square du Vert-Galant, as the bride wanted a romantic, truly Parisian experience in a park or other romantic nook in the city – Paris is quite laid back about small ceremonies popping up in their gorgeous public spaces. We first pinned our hopes on Jardins du Luxembourg, but being property of the French Senate, we were only able to gather a permit for photography. Then, a protest was scheduled on their wedding day. We had two backups in our corner at the ready, and the bride chose the enchanting Vert-Galant. 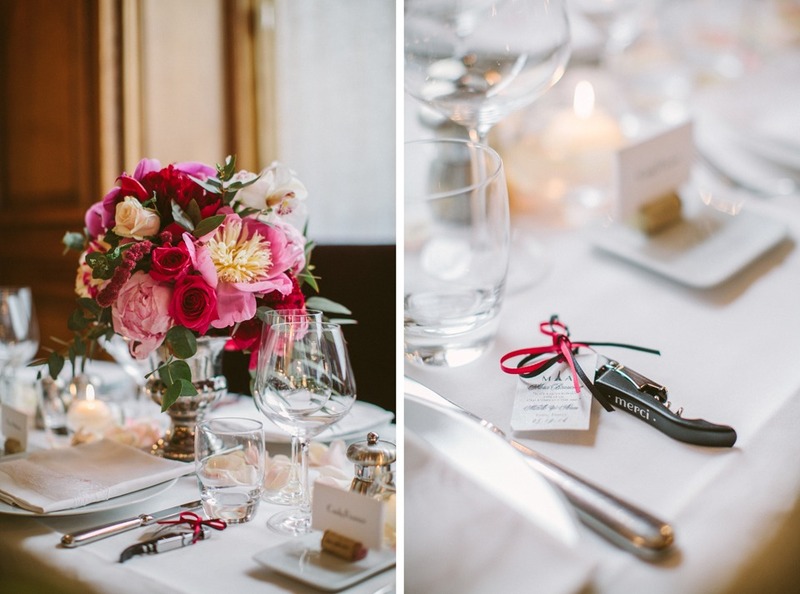 The photos are by Yann Audic of Lifestories Wedding Photography, and flowers by Estelle Preston. 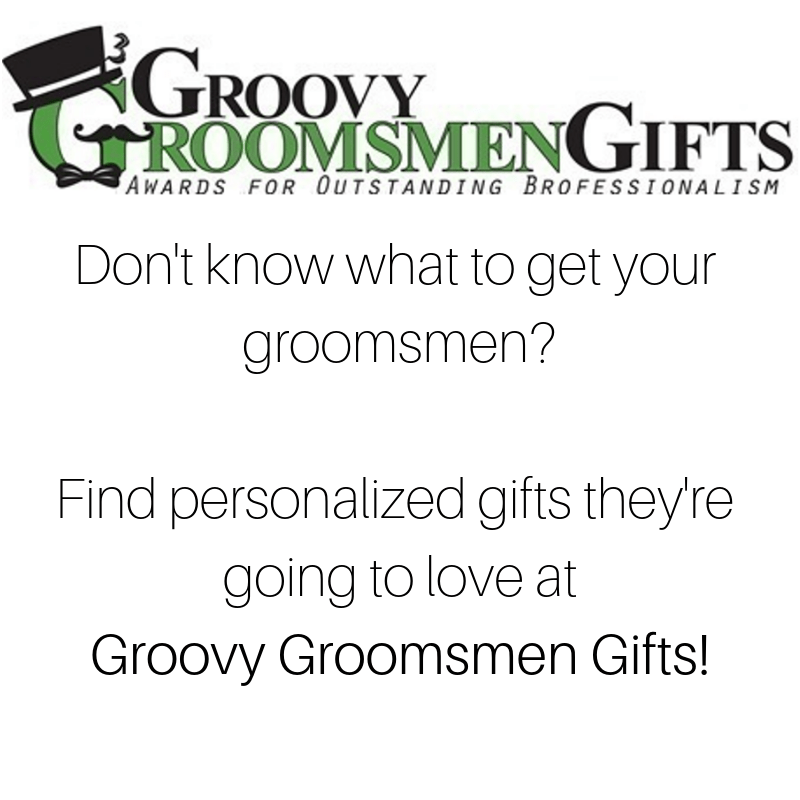 Both vendors have charm, skill, technique, and reliability in spades. Along with my own rockstar associates, Rhonda Richford and Clementine Bloch, the group made for a ‘dream team,’ for a dream wedding. Special thanks to all!